Los Angeles is one of the most popular cities in the United States for young professionals, and it’s not hard to see why. A cultural capital full of tastemakers, influencers, and some of the country’s best weather, this beautiful metropolis enjoys a seemingly never-ending supply of new transplants eager to see what the city of angels has to offer. However, with so many neighborhoods to choose from, it’s often hard to pick the right one for your needs: will living Downtown make your life easier, or is Silver Lake the place for you? If you’re a young professional, find out why there’s just one neighborhood you should be considering: West Hollywood. The neighborhood is highly walkable: While Los Angeles has an undeniable reputation as a city for those who don’t mind spending hours at a time in their car, living in West Hollywood might just mean you don’t have to drive everywhere—or anywhere at all, for that matter. One of the city’s most walkable neighborhoods, many West Hollywood residents eschew owning a private car in favor of using public transportation, rideshares, or, just walking from place to place. 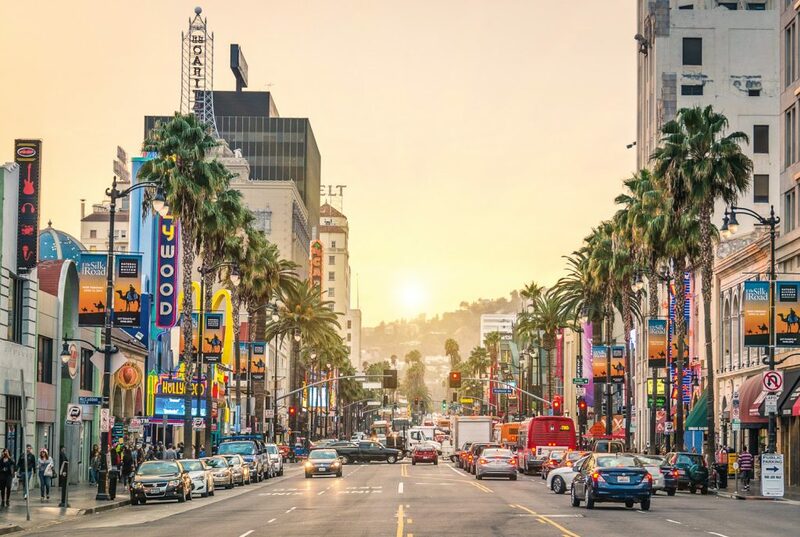 It’s home to the most iconic L.A. hotspots: If you’re eager to enjoy some of the best cultural attractions Los Angeles has to offer, look no further than the streets of West Hollywood. The Pacific Design Center, the Sunset Strip, the Design District, and even the famed Chateau Marmont call this unique enclave home, making it easy to find something to do, no matter what you’re in the mood for. West Hollywood boasts some of the city’s best restaurants: Foodies need look no further than West Hollywood to find some of Los Angeles’ most epic eats. Restaurants like Mexican hotspot Gracias Madre, Thai paradise Night + Market, old school eatery Dan Tana’s, and famed sushi bistro Sushi Ginza Onodera all call the neighborhood home, so all that’s left for you to do is make a reservation. It’s a business hotspot: If you’re a young professional who’s looking to switch industries or are just getting your footing in the working world, West Hollywood is a great place to start your job search. The neighborhood is home to the offices of companies like Ticketmaster, Wag!, Lauren and Wolf, Equinox Fitness, Grindr, FitFabFun, and more, making it easy to find employment close to home. The neighborhood has some of the city’s most diverse architecture: Whether you’re eager to live in one of the neighborhood’s luxury condos or feel more at home in a single-family home, the West Hollywood real estate market has got you covered. Unlike other neighborhoods in Los Angeles that are largely home to apartment towers or private homes, West Hollywood packs plenty of both, making it the perfect neighborhood to call home, whether you’re a single professional just starting out or a family looking for a change of pace. You don’t have to search high and low in Los Angeles to find the perfect neighborhood. West Hollywood has everything a young professional might want, from amazing architecture to top-tier restaurants all in one convenient enclave.